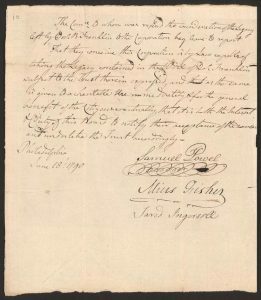 Born in Boston on January 17, 1706, the tenth son of Josiah, a candle purveyor, and Abiah Folger. 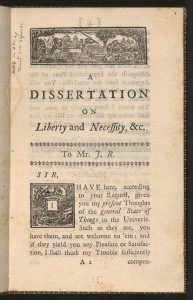 Educated at Boston Grammar School, Benjamin apprenticed with his father, and then his half-brother, Peter, a controversial printer in Boston. 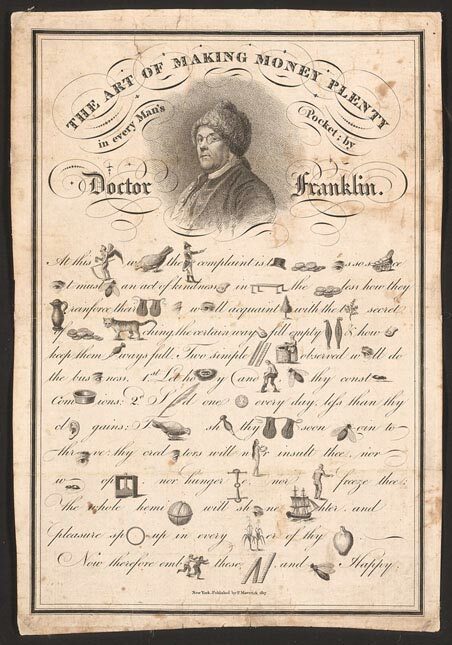 Young Franklin struck out on his own in 1723, eventually finding employment as a journeyman printer in Philadelphia. 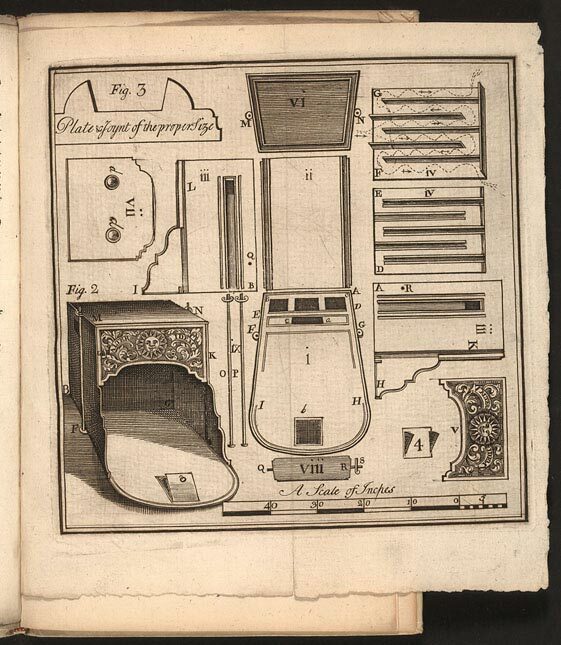 By 1730, he owned his own printing shop and had fathered a son, William, and married Deborah Read Rogers. 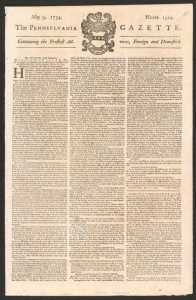 Franklin’s newspaper The Pennsylvania Gazette, his Poor Richard’s Almanack, and work as an inventor and scientist propelled him to the front ranks of Philadelphia society and made him a well-known figure throughout the American provinces and England. 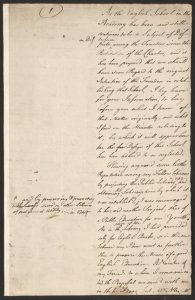 In 1757, at age fifty-one Franklin, began his career as a diplomat and statesman in London where he essentially remained until the outbreak of the American Revolution. 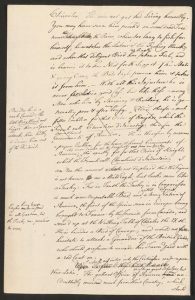 When Franklin returned to Philadelphia in 1775, he served as a delegate to the Continental Congress, where he was instrumental in drafting the Declaration of Independence and the Articles of Confederation. Because of his international experience, Franklin was chosen as one the first ministers to France. In Paris Franklin reached his peak of fame, becoming the focal point for a cultural Franklin-mania among the French intellectual elite. 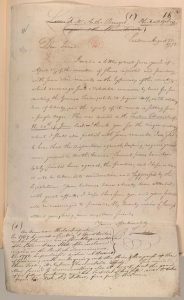 Franklin ultimately helped negotiate a cessation of hostilities and a peace treaty that officially ended the Revolutionary War. 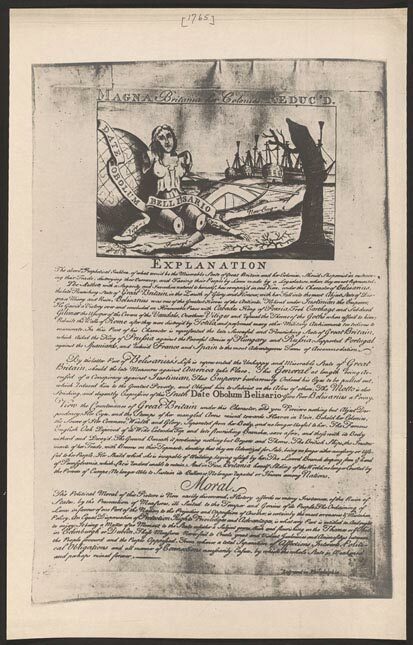 This vivid allegorical cartoon, which illustrates the fatal effects on the empire that would result from taxing the colonies, was designed by Franklin in 1766. 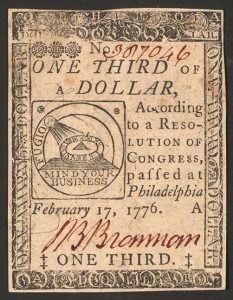 Franklin printed the image on cards that he distributed to Parliament during the debate over the repeal of the Stamp Act. This broadside carries a text that reads: “The Moral is, that the Colonies may be ruined, but that Britain would thereby be maimed.” Both the card and the broadside version, with the explanation and moral, are extremely rare. 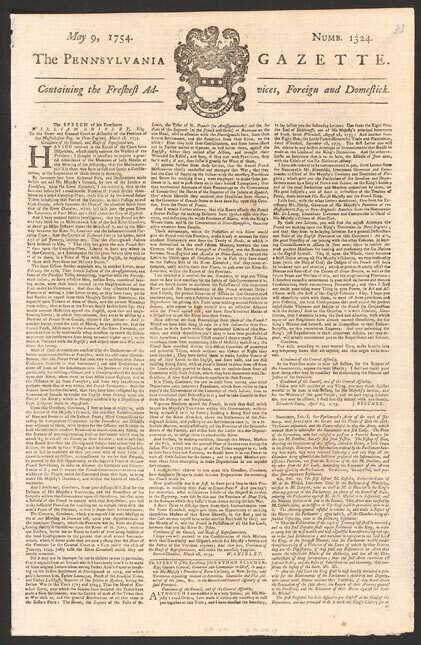 On October 31, 1765, the publishers announced the suspension of the Pennsylvania Gazette in protest of the provisions of the Stamp Act, which required that newspapers be printed on imported, stamped paper that required payment of a duty. 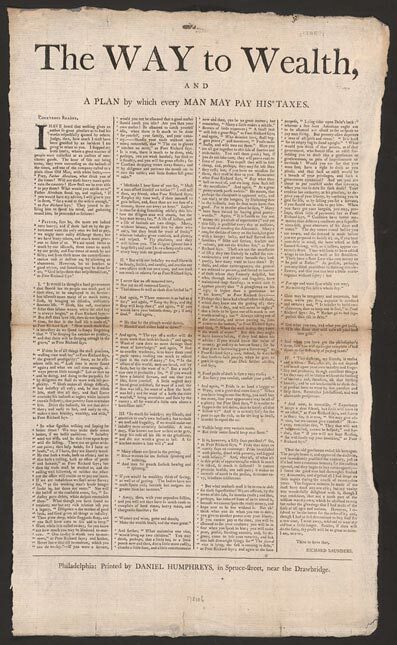 Between November 7 and December 26, Franklin’s partner David Hall issued news sheets on unstamped paper without a masthead, thus avoiding legal repercussions while satisfying the subscribers. 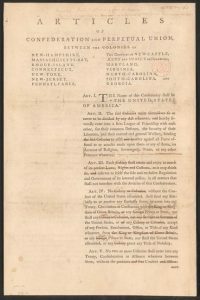 Benjamin Franklin, Pennsylvania agent and deputy postmaster general in North America, initially supported the Stamp Act of 1765, by which Parliament levied a new tax on British colonies. 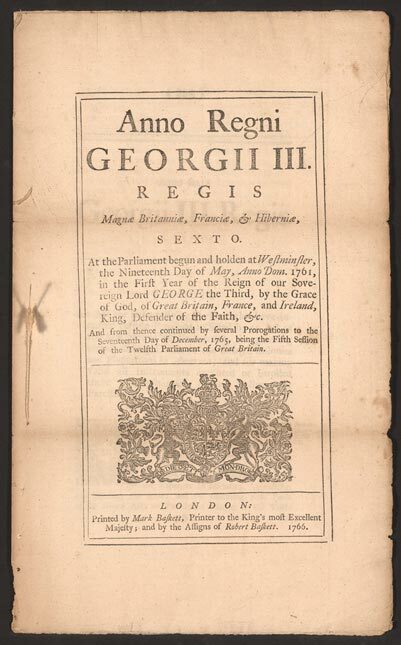 Although the tax would not raise much money, the British chancellor of the Exchequer Sir George Grenville wanted a declaration of Parliament’s sovereign right to tax the colonists. 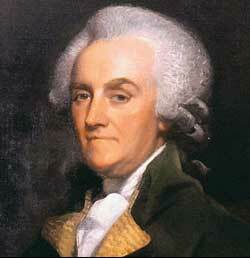 Franklin became an opponent when he learned of the fervent colonial opposition. 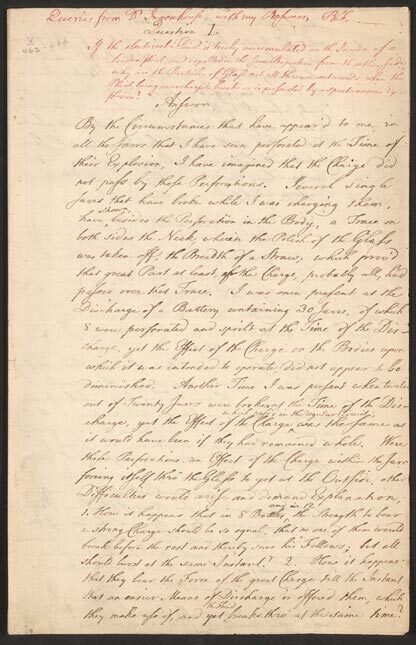 Willliam Strahan, an English printer and publisher, who was Franklin’s friend and correspondent for many years, voted with the majority of Parliament to proclaim the Americans as rebels. 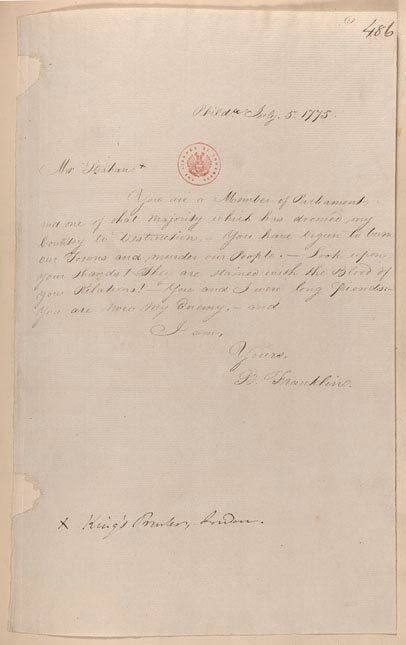 Franklin drafted but never sent this well-publicized letter to Strahan to sever their friendship. 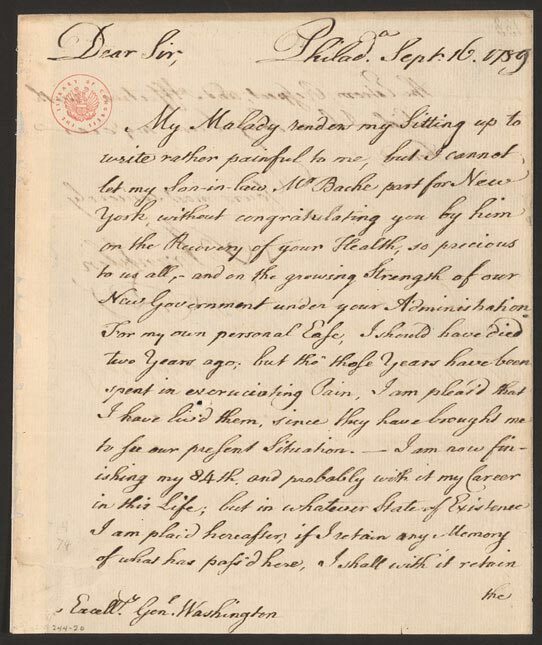 Benjamin Franklin wrote this tract after Alexander Wedderburn, British Solicitor-General, sharply attacked Franklin. 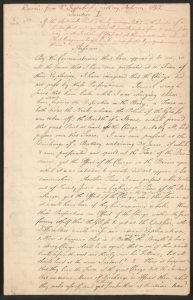 Wedderburn asserted that Franklin was a “true incendiary” before the Privy Council on January 29, 1774, and accused him of being the “prime conductor” in the agitation against the British government largely for illegally obtaining copies of Massachusetts Governor Thomas Hutchinson’s letters filled with advice on how to subdue America by restricting its liberties. 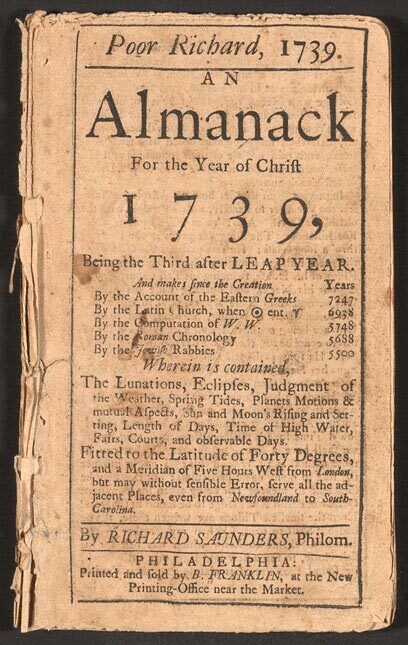 The tract was not published until after Franklin’s death. 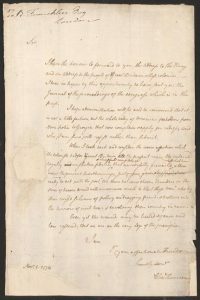 Just days after the adoption of the Declaration of Independence by Congress, Benjamin Franklin wrote this stinging rebuke to the commander of British naval forces in North America and peace commissioner, Lord Richard Howe, who had offered pardons to American political leaders. The offer was rejected. 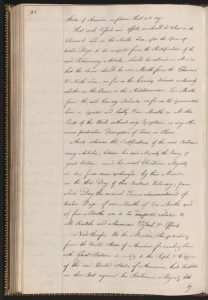 Franklin replied that “It is impossible we should think of Submission to a Government” that has inflicted “atrocious Injuries” on Americans. 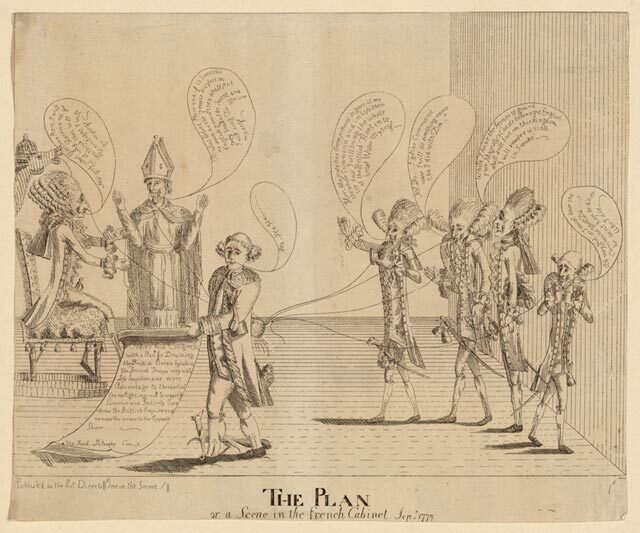 This 1779 British political cartoon shows a laughing Franklin, at center, holding a copy of his “Plan” an invasion by French troops. In his other hand are strings connected to the noses of the French King and members of the French Court. 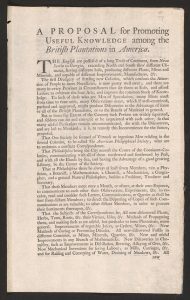 Philadelphia, site of both Continental Congresses, was one of the most urban, advanced cities in America in the eighteenth century. 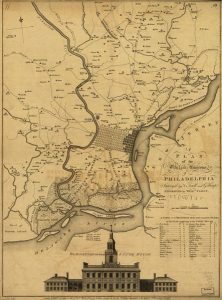 Drawn by George Heap, a surveyor and city coroner of Philadelphia, and Nicolas Scull, Surveyor General of the Province of Pennsylvania and a friend to Franklin, this map shows streams, roads, and names of the landowners in the vicinity of Philadelphia. 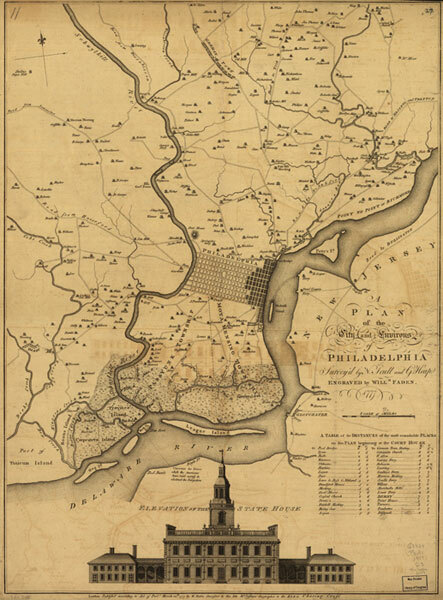 The bottom of the map contains an illustration of the State-House or Independence Hall, home of the Federal Convention of 1787. 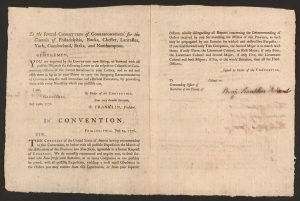 Benjamin Franklin returned from London in May, 1775, and was quickly drafted as one of the Pennsylvania delegates to the second Continental Congress. 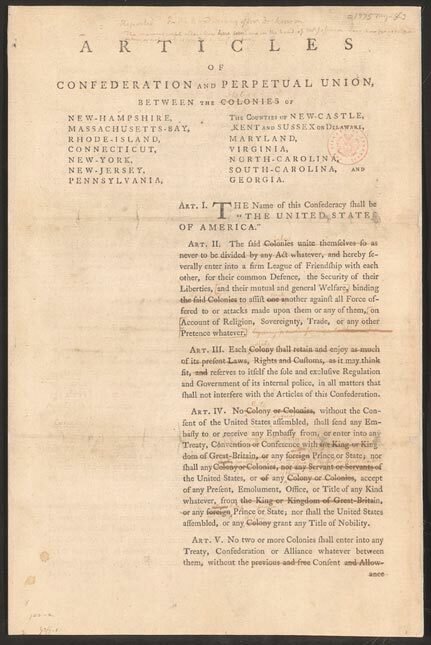 Franklin’s plan for a government for a united colonial confederation was read in Congress on July 21, 1775, but was not acted upon at that time. 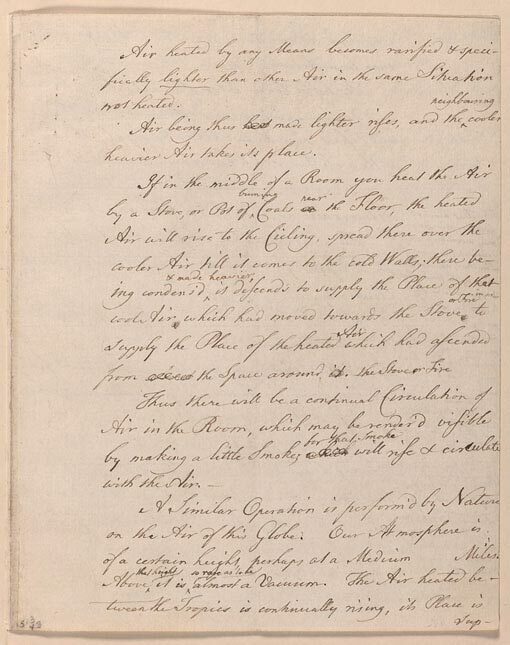 Thomas Jefferson, a fellow delegate, annotated this copy of Franklin’s plan. 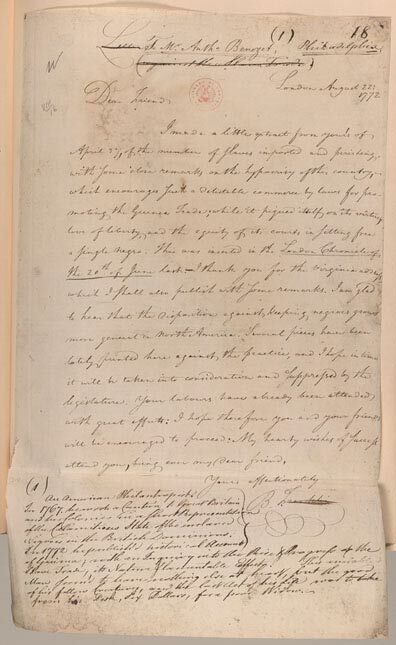 Benjamin Franklin delivered this Petition of the Continental Congress, dated October 26, 1774 and signed by fifty-one delegates to the Congress, to Britain’s King George III. 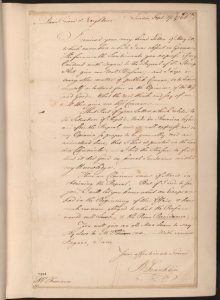 The petition, one of two copies sent to Franklin, stated the grievances of the American provinces and asked for the King’s help in seeking solutions. 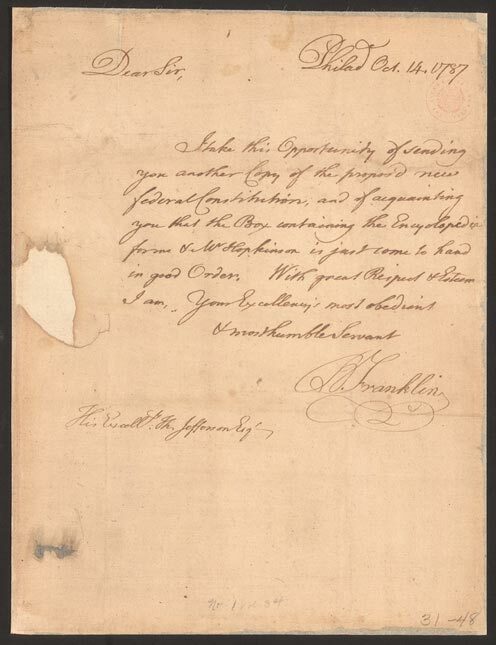 Charles Thomson, secretary of the First Continental Congress, sent the petition of Congress to the British King, George III, with this cover letter to Benjamin Franklin, one of America’s agents in London. 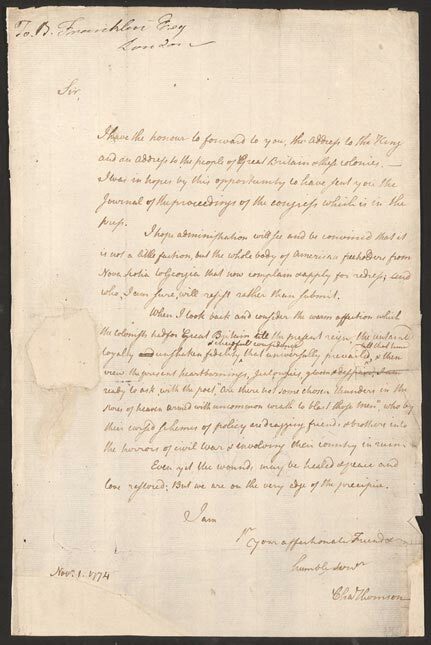 Thomson wrote that although there was still hope for peace, the colonies were on the “very edge of the precipice.” The petition, which outlined a peaceful redress of grievances, was summarily rejected by the British government. 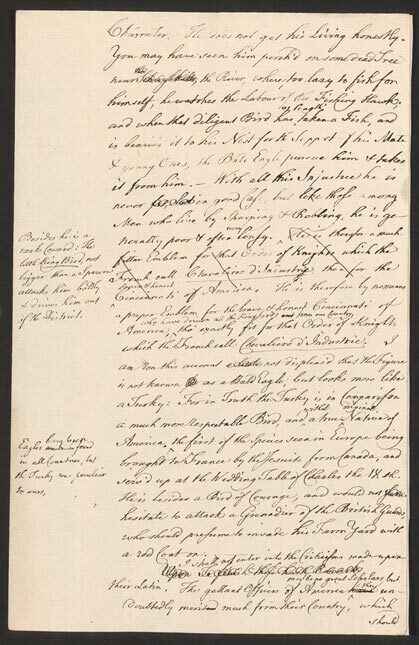 In anticipation of an imminent attack by enemy forces gathering on Staten Island, Congress had ordered the formation of a flying camp of militiamen from Delaware, Maryland, and Pennsylvania to defend New Jersey. 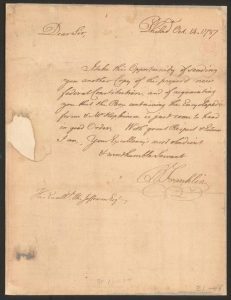 Franklin was appointed to a Congressional committee charged with conferring with political and military authorities on the best means of defense. 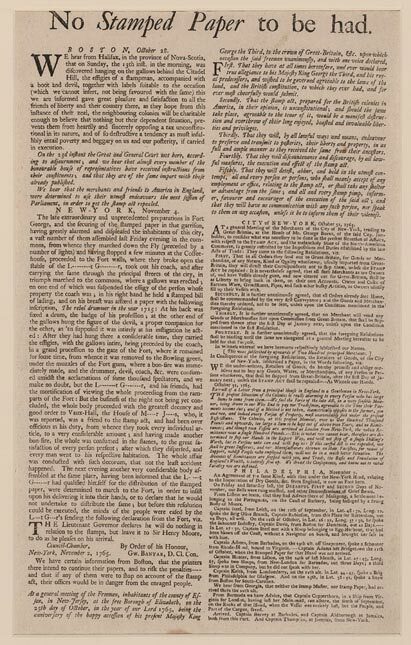 This broadside signed by Franklin as president of the Pennsylvania Convention, urges the provincial militia to march with expedition, disregarding any reports to the contrary. 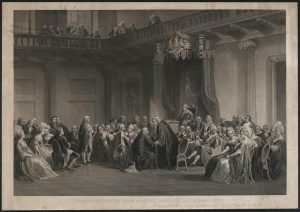 In this idealized version of Franklin’s appearance at the Court in Versailles on March 20, 1778, King Louis XVI avowed the treaty of alliance between France and the United States by formally receiving the American commissioners. 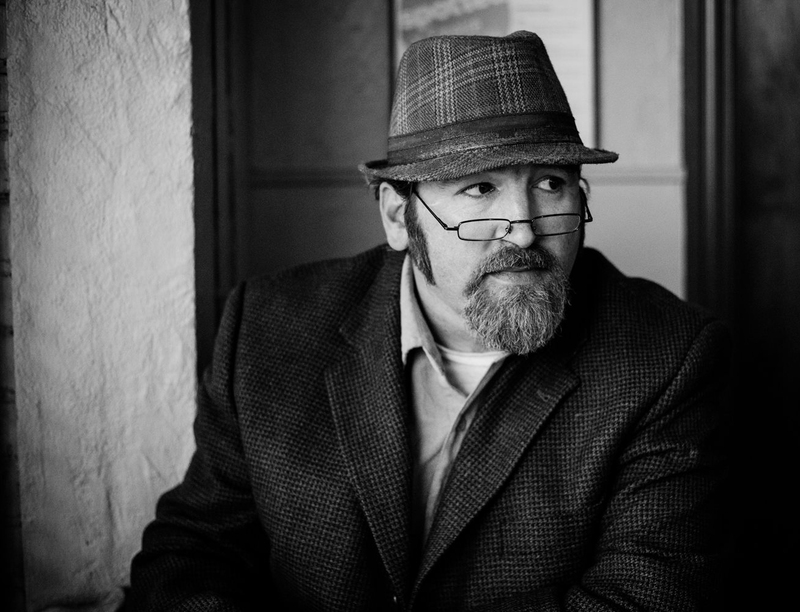 Franklin played the part of the rustic sage, as he shrewdly calculated the sophisticated courtiers would want to see him—wigless, bespectacled, and donning his “Quaker” suit of sober brown. He appeared again at the French court one year later as the U.S. Minister to France. Benjamin Franklin was one of the American Commissioners in France who negotiated the Treaty of Paris with Great Britain ending the American Revolutionary War and securing the United States ownership of a vast territory between the Atlantic coast and the Mississippi River. 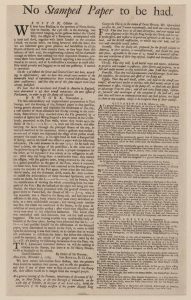 The Declaration of the Cessation of Arms followed the Preliminary Treaty of Peace, which appears in Franklin’s copy book in French. 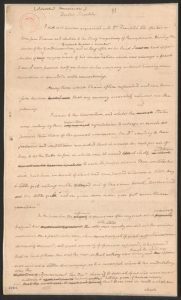 Several weeks before the Treaty of Paris, Franklin arranged for the translation and publication of the thirteen state constitutions along with other founding documents and treaties of commerce and alliance. 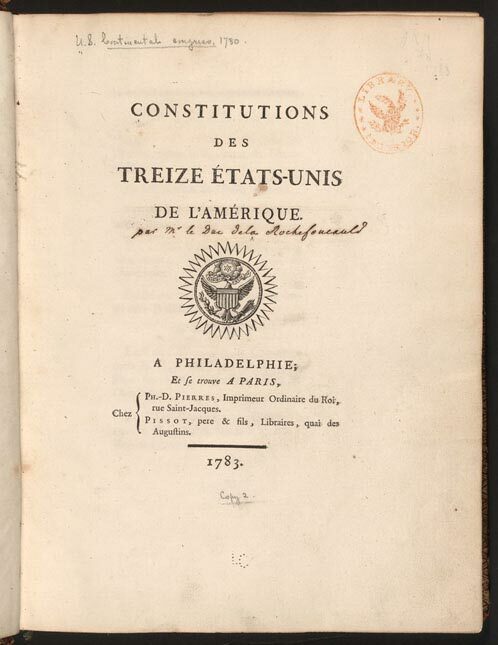 Believing the publication would be influential in supporting recognition of the new country by European powers, he had sumptuously bound copies presented to the French king and queen and all the French foreign ministers. 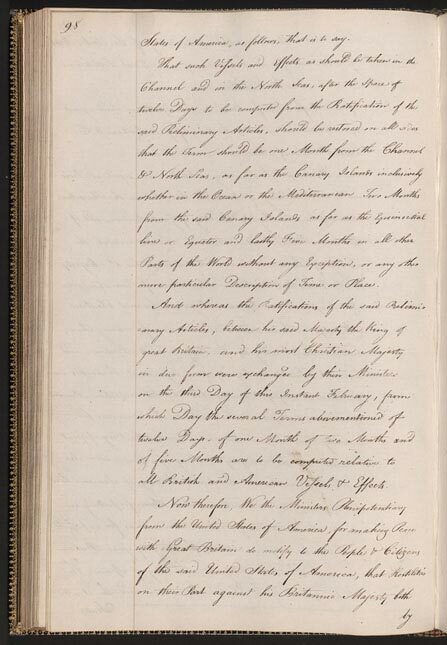 The Great Seal of the United States, approved by Congress in June 1782, made its first printed appearance here. 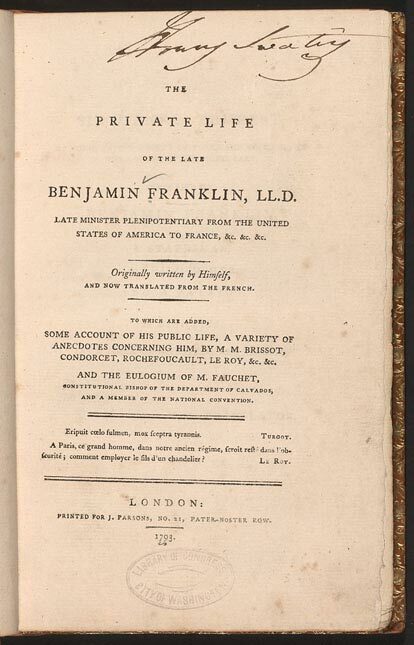 This copy is personally inscribed by Franklin to the translator. 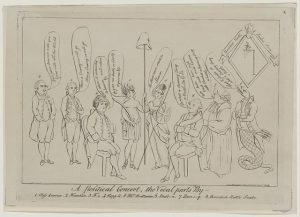 This British cartoon appeared in London early in 1783 just after the preliminary treaty of peace ending the American Revolution became known in Great Britain. 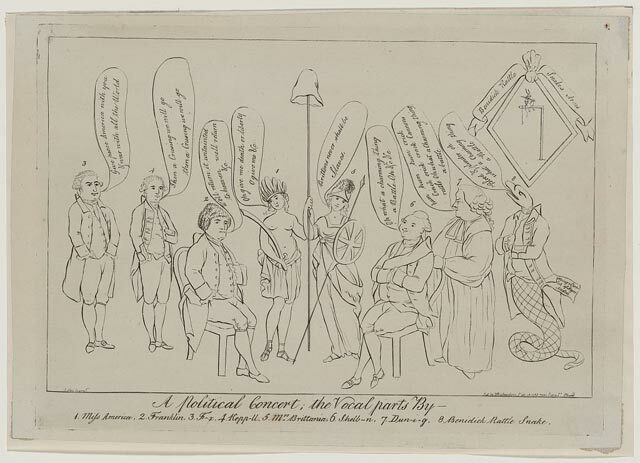 Allegorical figures of Britain and America support a pole crowned with a liberty cap. 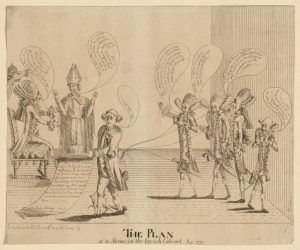 Benjamin Franklin leads a chorus that includes the Whig ministers Charles James Fox and Lord Shelburne, who made peace with the United States. 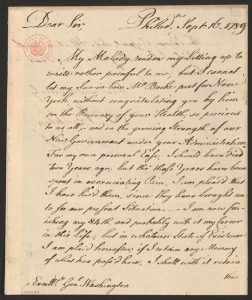 The American traitor Benedict Arnold appears as a serpent, with a noose over his head. 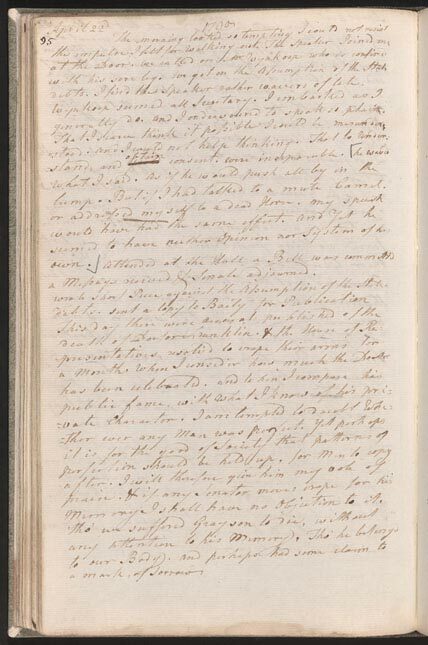 Benjamin Franklin, despite having brought two Black slaves to England in 1757, became an eager supporter and correspondent of Anthony Benezet, the Philadelphia abolitionist and educator, who had written important anti-slavery pamphlets, books, and newspaper articles. 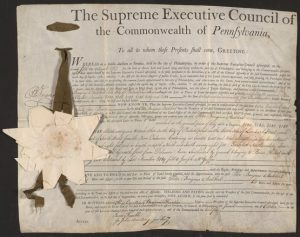 As president of the Pennsylvania anti-slavery society, Franklin appealed for public support of a humanitarian plan to not only emancipate slaves, but to educate free blacks and their children and to facilitate their progress toward good citizenship. 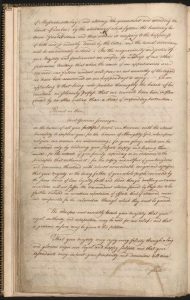 When delegates became heated over the issue of proportional representation at the Federal Constitutional Convention in 1787 at Philadelphia, Benjamin Franklin urged “great Coolness and Temper,” telling the delegates “we are sent here to consult, not to contend, with each other.” As the eldest delegate at the Convention, Franklin acted on several occasions to restore harmony. Benjamin Franklin was chosen president of Pennsylvania shortly after his 1785 return from France. 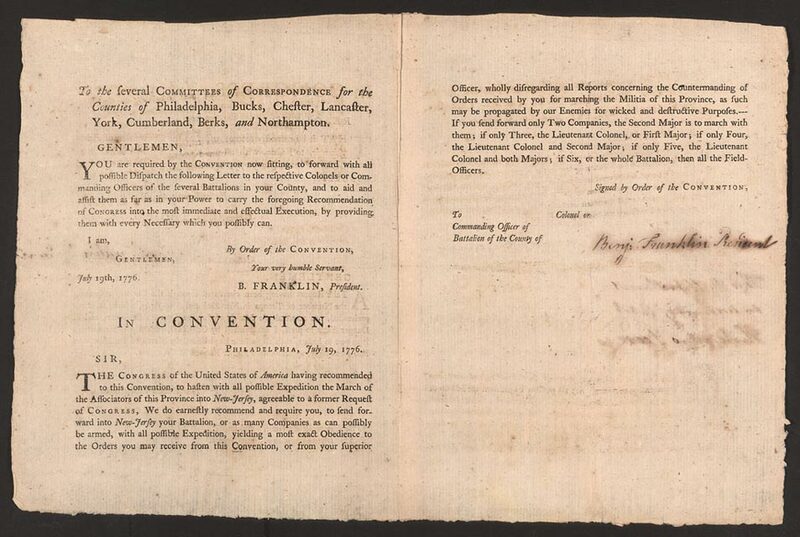 The bulk of Franklin’s presidential duties included signing land grants, such as this 1787 bill of sale, and performing ceremonial functions. 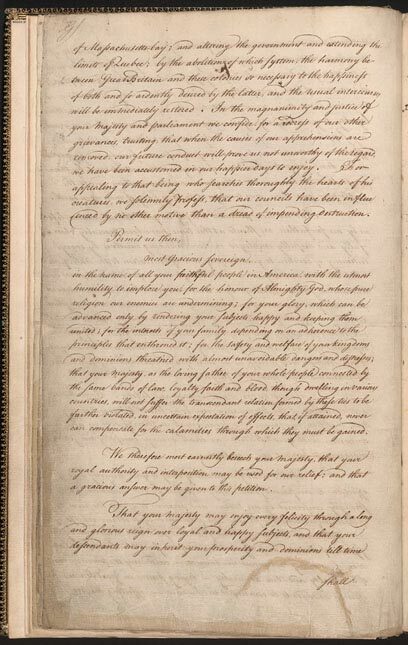 Benjamin Franklin enclosed a copy of the new federal constitution with this letter to Thomas Jefferson, the American minister to France, and thanked him for the receipt of a box of books. 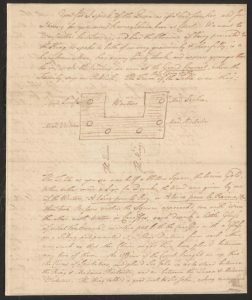 Franklin wrote this description of the stove he had invented to promote sales of a model being manufactured by his friend Robert Grace. A series of partitioned iron plates permits a continuous supply of fresh warm air, separated from the smoke, to be distributed equally throughout the room. By controlling the airflow, less heat is lost, and much less wood is needed. Franklin’s stove became so popular in England and Europe that this essay was frequently reprinted and translated into several foreign languages. 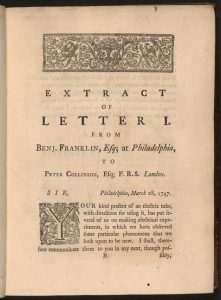 In 1751, Peter Collinson, President of the Royal Society, arranged for the publication of a series of letters from Benjamin Franklin, 1747 to 1750, describing his experiments on electricity. Franklin demonstrated his new theory of positive and negative charges, suggested the electrical nature of lightning, and proposed a tall, grounded rod as a protection against lightning. 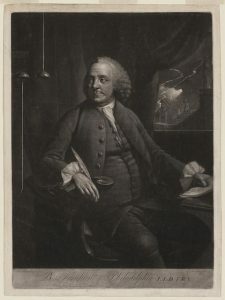 These experiments established Franklin’s reputation as a scientist, and in 1753 he received the Copley Medal of the Royal Society for his contributions to the knowledge of lightning and electricity. 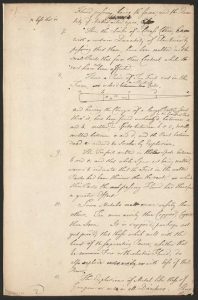 Benjamin Franklin’s formulation of a general theory of electrical “action” won him an international reputation in pure science in his own day. 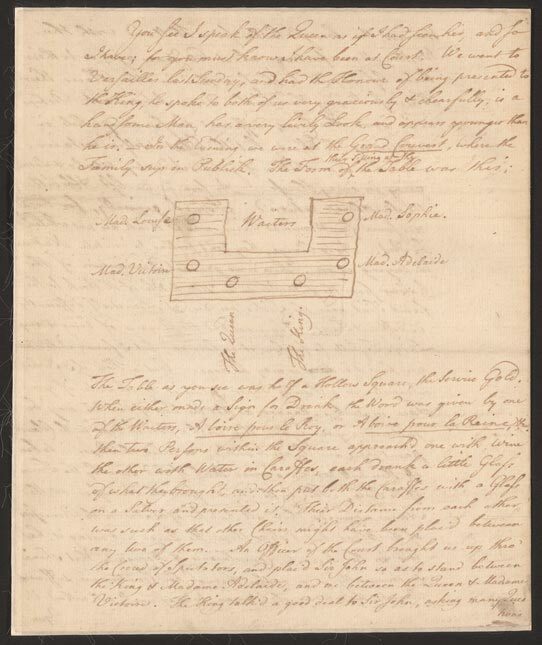 Writing to Dutch physician and scientist Jan Ingenhousz, Franklin responds to a number of his friend’s questions about electricity and the Leyden jar, an early form of electrical condenser. 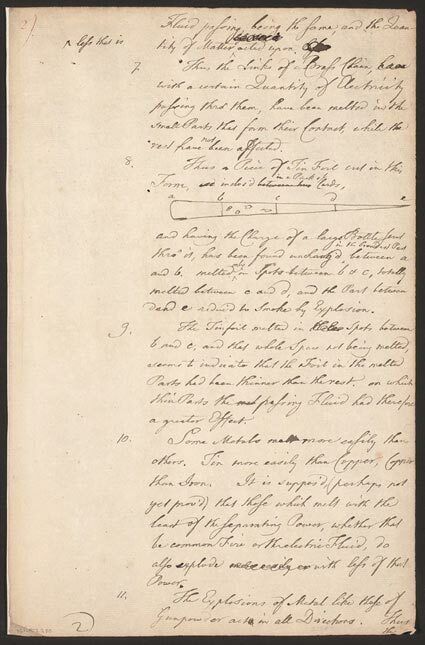 In this draft scientific report, it appears that Franklin wrote his answers first using dark ink, leaving room for the questions, which he wrote in red ink. 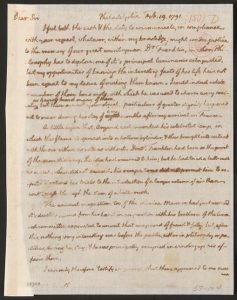 In this lengthy essay intended for his fellow scientist Jan Ingenhousz, Benjamin Franklin attempted to explain the effects of lightning on a church steeple in Cremona, Italy, by describing the effects of electricity on various metals. He based his hypothesis on other written accounts, and used this sketch of a tube of tin foil to aid in his explanation. 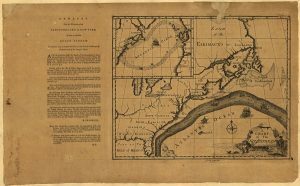 Although Spanish explorers had described the Gulf Stream, Franklin, fascinated by the fact that the sea journey from North America to England was shorter than the return trip, asked his cousin, Nantucket sea captain Timothy Folger, to map its dimensions and course. Franklin published this map and his directions for avoiding it in the Transactions of the American Philosophical Society in 1786. Systematic research, conducted by the U.S. Coast Survey, of the Gulf Stream did not occur until 1845. 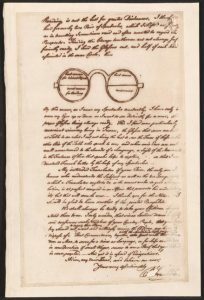 Despite his eminence in scientific circles, Benjamin Franklin remained concerned with the more practical applications of scientific study. 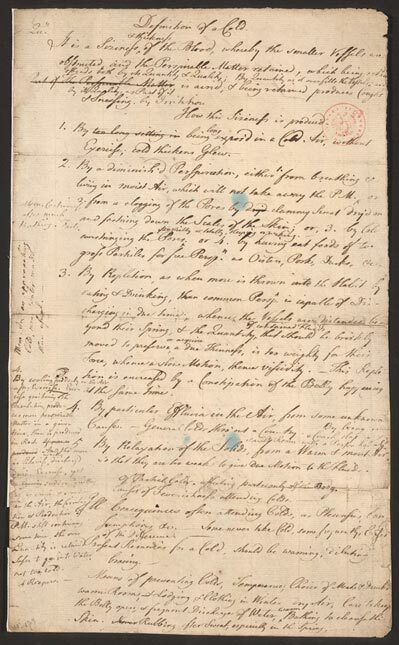 This sheet entitled “Definition of a Cold” is one of a series bearing Franklin’s notes for a paper he intended to write on the subject. Exercise, bathing, and moderation in food and drink consumption were just some of his steps to avoid the common cold. 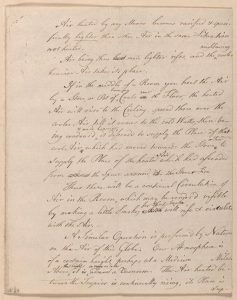 Benjamin Franklin’s interest in the mystery of the “Northern Lights” is said to have begun on his voyages across the North Atlantic to England. He ascribed the shifting lights to a concentration of electrical charges in the polar regions intensified by the snow and other moisture. He reasoned that this overcharging caused a release of electrical illumination into the air. 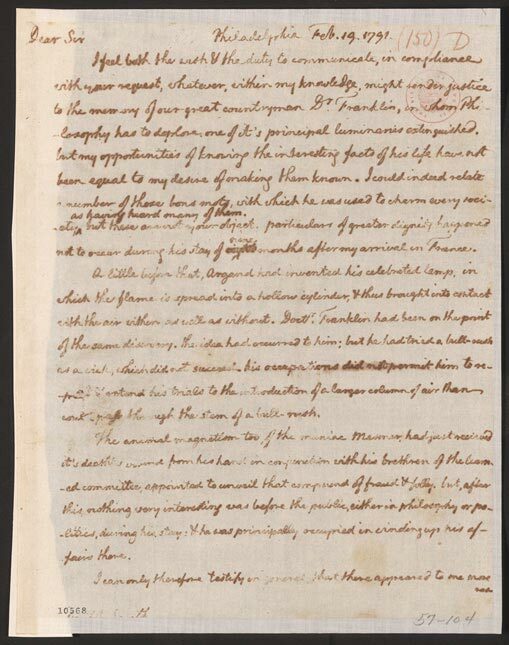 In this essay, which he wrote in English and French, Franklin analyzed the causes of the Aurora Borealis. 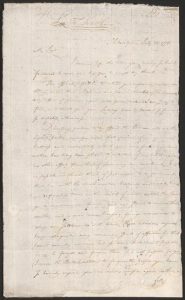 It was read at the French Académie des Sciences on April 14, 1779. 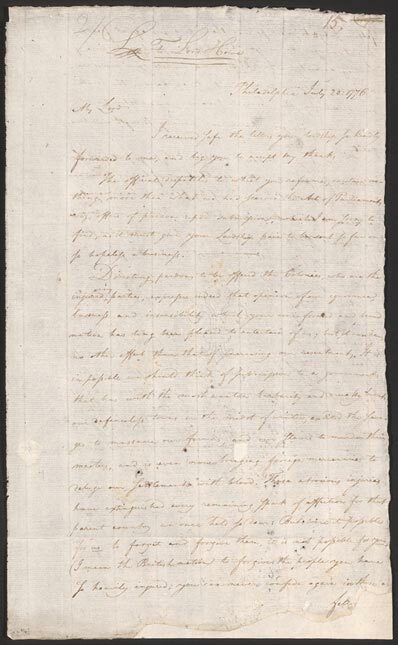 Before leaving London in July 1762, Franklin wrote to the Italian philosopher Giambatista Beccaria. 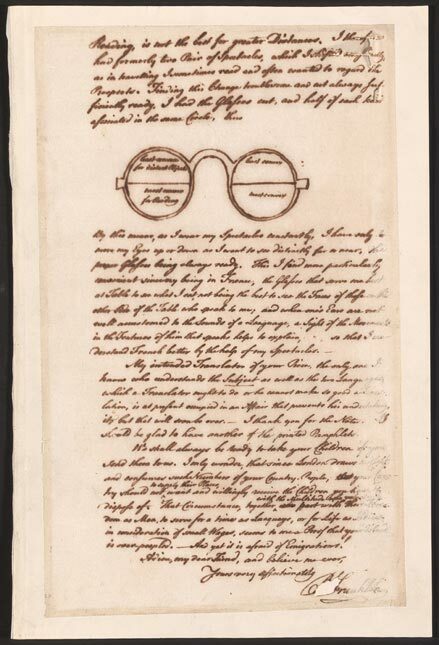 Not having anything new to report on their shared interest in electricity, Franklin described the improvements he had made to the musical glasses invented by Richard Puckeridge. By fitting a series of graduated glass discs on a spindle laid horizontal in a case and revolving the spindle by a foot treadle, Franklin could create bell-like tones by touching his wet fingers to the revolving glasses. 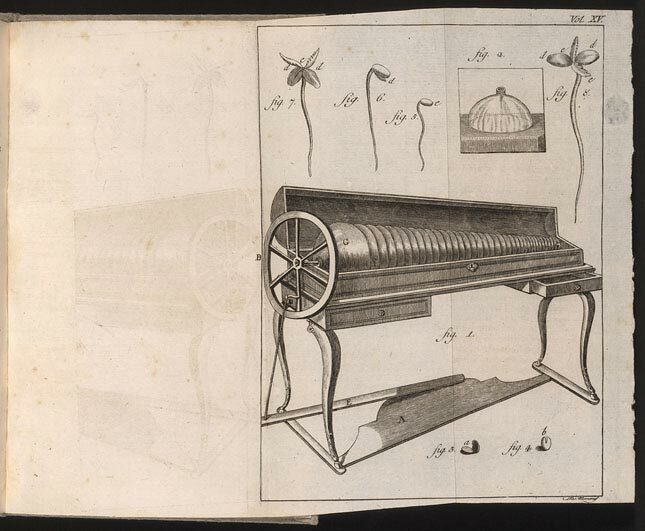 Franklin’s armonica became popular in Europe, with Mozart and Beethoven composing music for it. M.T. 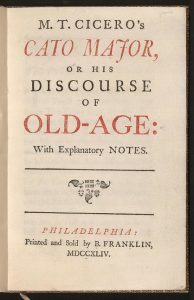 Cicero’s Cato Major, Franklin’s personal favorite from his press, is considered to be the finest example of the printing art in colonial America. Furthermore, this work by the Roman philosopher statesman Cicero is the first classic work translated and printed in North America. 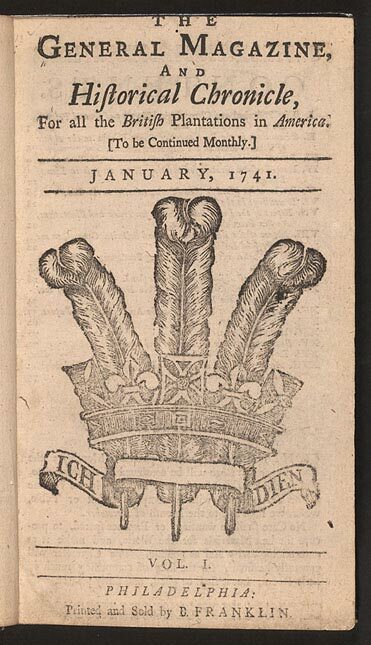 Franklin was the first to propose a monthly magazine for the American colonies. 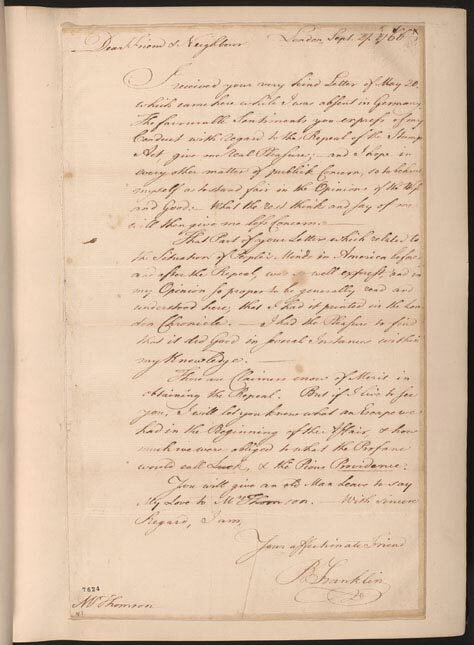 John Webb, whom Franklin had hoped to engage as editor, shared these plans with Franklin’s rival, Andrew Bradford, and those two decided to publish a magazine. 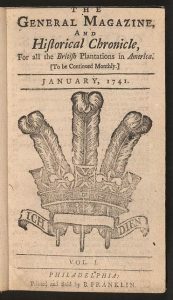 Both printers issued their first number in February 1741. 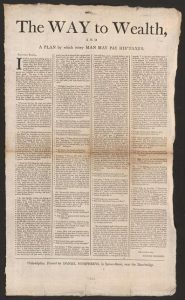 Bradford’s American Magazine, which may have beaten Franklin’s General Magazine by a few days, lasted only three issues, while Franklin’s magazine survived for six. 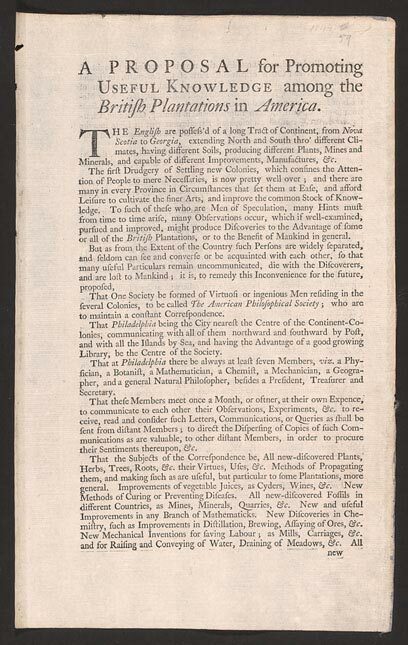 This rare broadsheet is the founding document of the American Philosophical Society, the oldest scientific society in America. 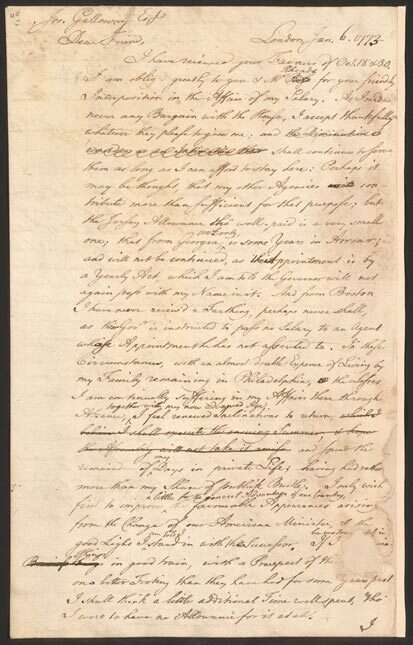 Franklin proposed that Philadelphia members would exchange information and ideas regarding all fields of natural and applied science and correspond with members in other colonies and countries about practical matters to benefit their lives and improve mankind. 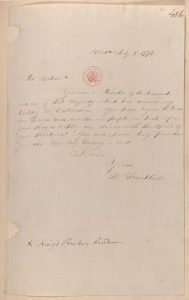 Franklin served as society secretary during the early years, and later as president, when regular correspondence was established with the Royal Societies of London and Dublin. 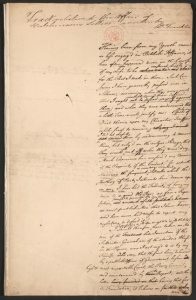 Franklin encouraged communication between the learned societies to continue even during the Revolution. 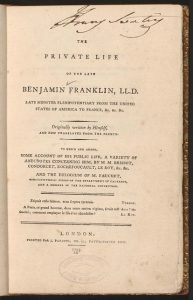 Benjamin Franklin asserted in his autobiography that he had quickly tired of formal religious services, but that early in life he had written his own private articles of religious belief and a simple liturgy to be read on Sundays. Founder of the German Seventh-Day Baptists Johann Conrad Beissel immigrated with the community to Ephrata, Pennsylvania, in 1732. Beissel served as the spiritual director of the group as well as its composer, devising his own system of composition. 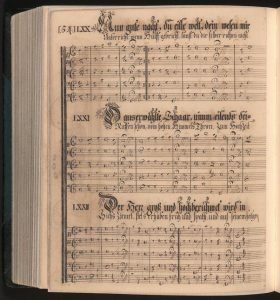 The group’s illuminated musical manuscripts were hand-lettered in Fraktur and are among the earliest original music composed in the British colonies. 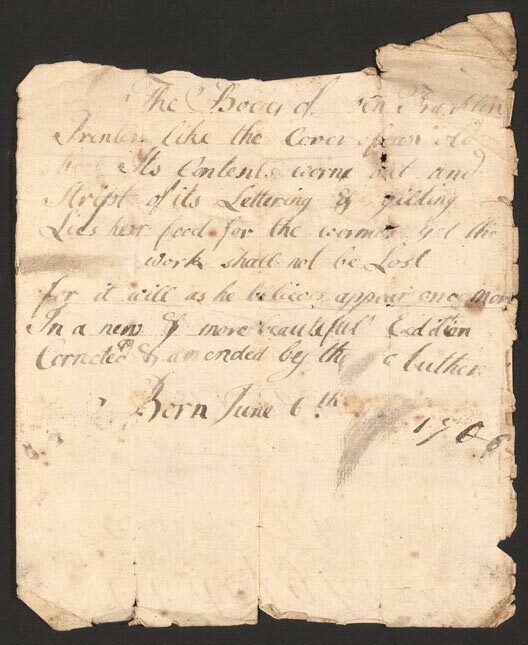 This illustrated hymnal was once in the possession of Benjamin Franklin. 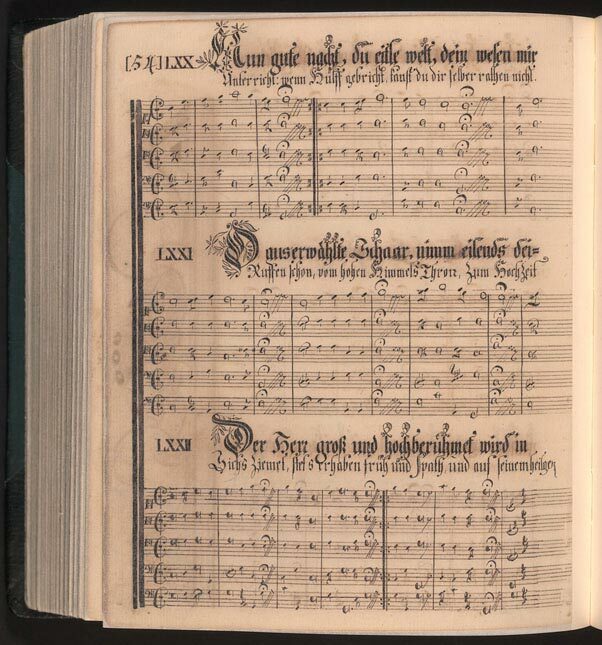 The rare second compilation of Beissel’s hymns was printed in roman type without music by Benjamin Franklin in 1732. 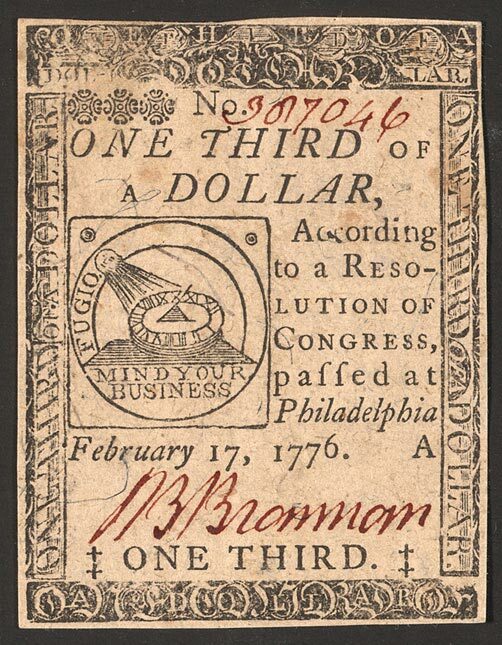 Soon after establishing himself as an independent printer, Benjamin Franklin was awarded the “very profitable Jobb” of printing Pennsylvania bills of credit, partly because he had written and published a pamphlet on the need for paper currency in 1729. He was similarly employed by New Jersey and Delaware. 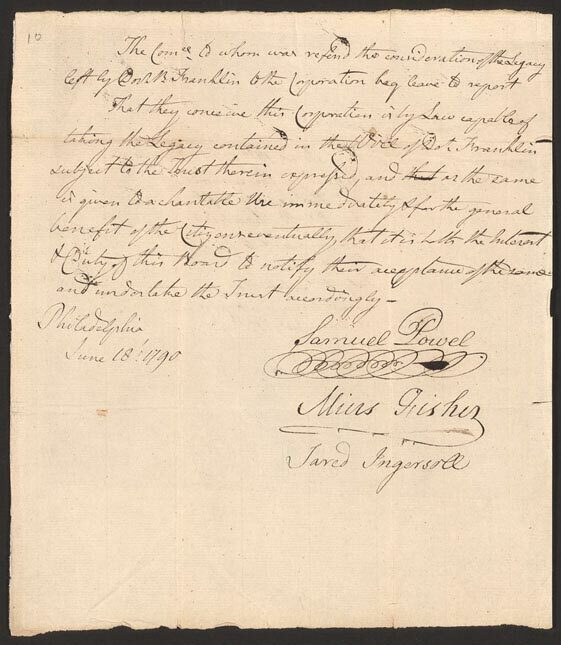 Aware of the threat from counterfeiters, Franklin devised the use of mica in the paper and leaf imprints as ways to foil counterfeiters—both of these methods can be seen in these samples of currency printed by Franklin and his partner David Hall and later by the firm of Hall and William Sellers. 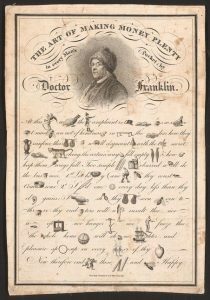 This humorous rendition of Franklin’s teaching that honesty, industry, and frugality are the keys to full pockets has continued to be a popular souvenir since it was first printed as a rebus in 1791. 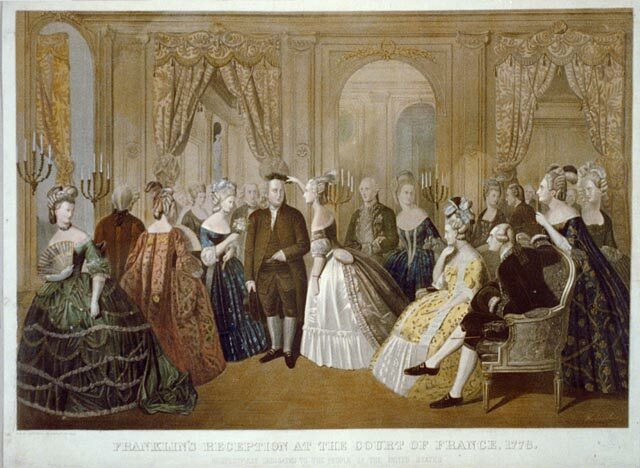 Here the familiar image of Franklin in a fur cap is one that introduced Franklin to France in 1777. 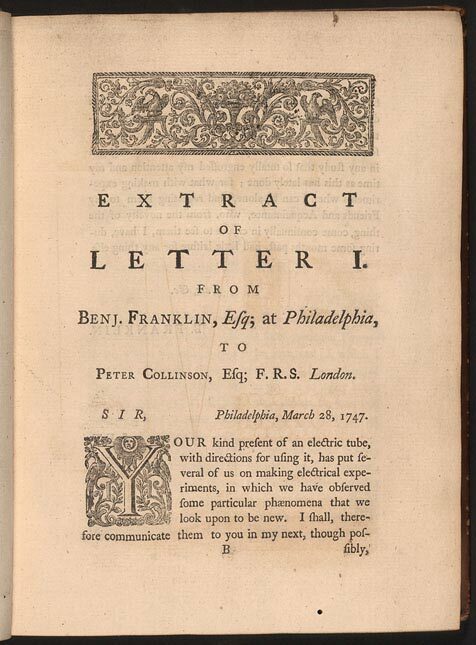 While working as a printer in London, Franklin published his first pamphlet at nineteen. In this metaphysical piece, a reply to William Wollaston’s The Religion of Nature Delineated, Franklin argued that if God was infinite wisdom and goodness, vice and virtue were empty distinctions. After distributing a few copies to his friends, Franklin became disenchanted with his reasoning and destroyed all remaining copies but one. 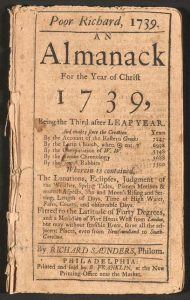 For his twenty-fifth almanac, for the year 1758, Franklin created a clever preface that reprised a number of proverbs from the almanac, framed as an event reported by Richard Saunders, in which Father Abraham advises a crowd attending a country auction that those seeking prosperity and virtue should diligently practice frugality and industry. 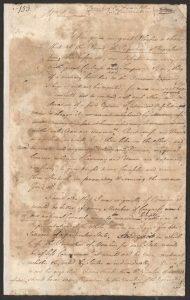 Reprinted as Father Abraham’s Speech and The Way to Wealth, this piece has been translated into many languages and is the most extensively reprinted of all of Franklin’s writings. This is the first broadside edition, a popular format that allowed it to be tacked up on walls and distributed by clergy and gentry. 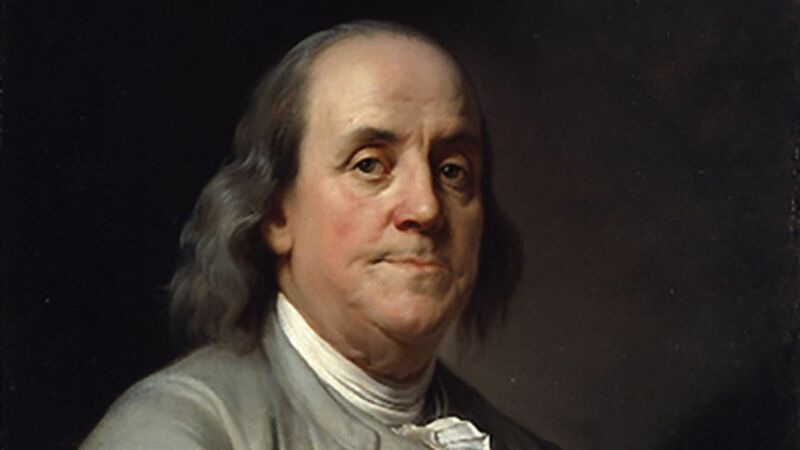 Throughout his life Benjamin Franklin had worked to educate the youth and citizens of Philadelphia. 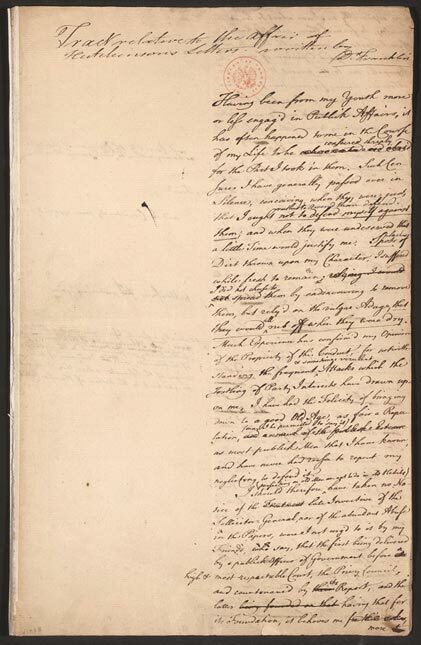 In this essay, he discussed his efforts to found a public subscription library in 1732, while seeking improvements in the governing of the Philadelphia Academy in 1789. 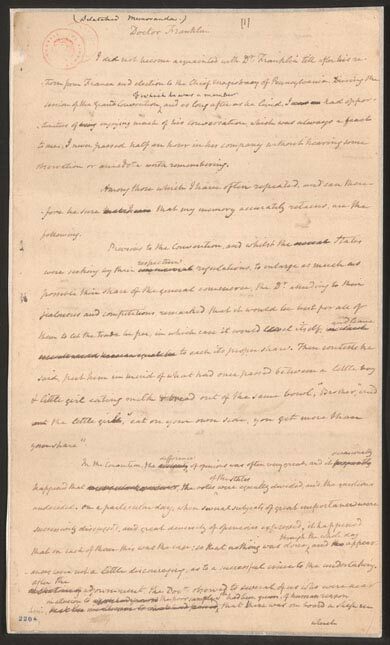 When he died, Franklin left substantial bequests to fund public education in Philadelphia and Boston. By 1990, the remaining funds, totally more than seven million dollars, were distributed to schools and scholarship funds. 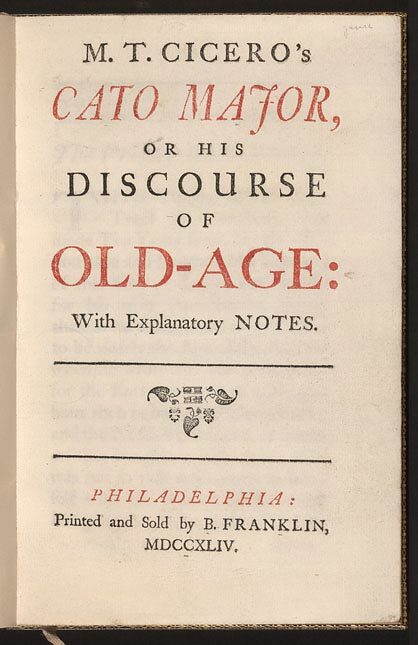 Franklin was sixty-five when he wrote the first part of his autobiography that focused on his early life to 1730. 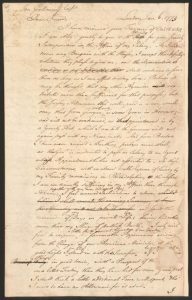 During the 1780s he added three briefer parts that advanced his story to his fiftieth year (1756) and revised the first part. 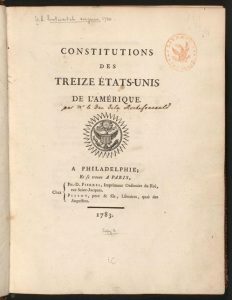 In the summer of 1790, shortly after his death, extracts of Franklin’s memoirs appeared in two Philadelphia magazines, but the first book-length edition, based on a French translation, was published in 1791. 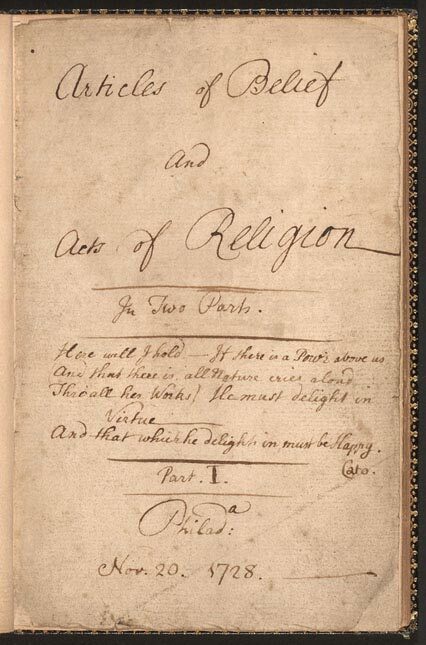 The first English edition was published in London in 1793. 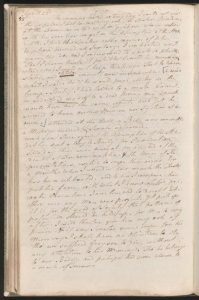 Although William Temple Franklin’s 1818 edition became the standard version, John Bigelow’s 1858 edition was the first complete publication of all four parts taken directly from Franklin’s own manuscript. 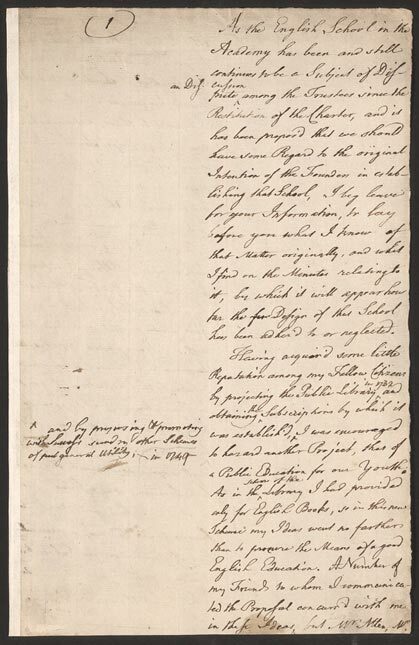 Benjamin Franklin, who like George Washington believed that public officials should work without a salary, stipulated in his will that his salary as president of the Executive Council of Pennsylvania should be given to the cities of Boston and Philadelphia. Trusts were established to manage the funds and to loan money at interest to apprentices seeking to establish their own business. 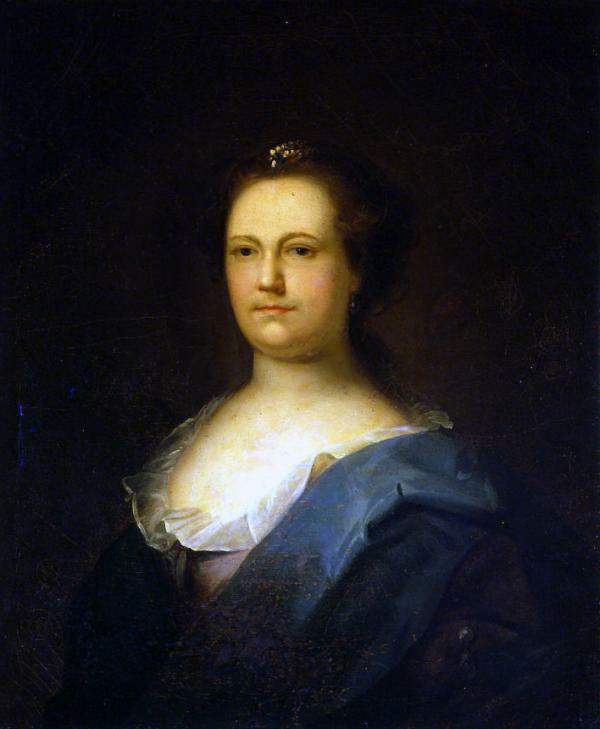 Two trade schools, the Franklin Union in Boston and the Franklin Institute were later established with these funds and in 1990, as devised by Franklin, the funds, then worth more than seven million dollars, were distributed to schools and scholarship funds. 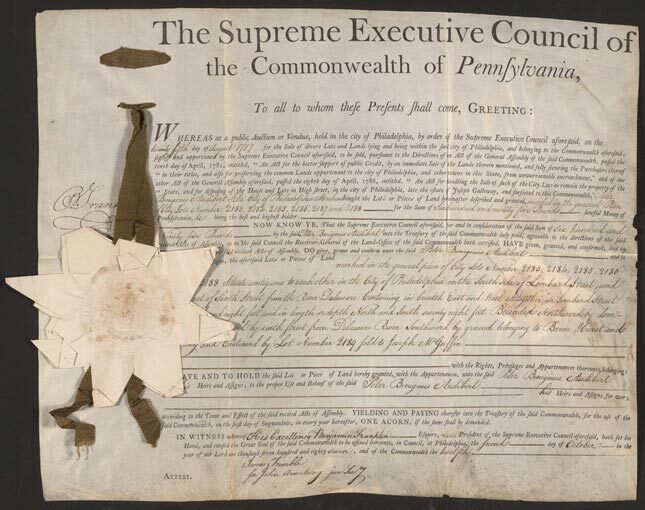 After Benjamin Franklin’s death on April 17, 1790, the United States House of Representatives voted to wear black crepe as “a mark of the veneration due to his memory,” but the United States Senate, as reported by Pennsylvania Senator William Maclay, refused to wear “crape on their arms for a Month” and did not publicly acknowledge Franklin’s death until 1791. 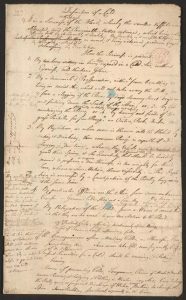 A young Benjamin Franklin wrote this doggerel verse in 1728 to serve as his epitaph. 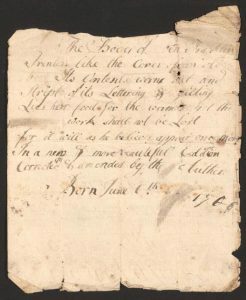 Franklin, who loved to write humorous and satirical verses as well as essays, made copies of this verse for friends at various times in his life. 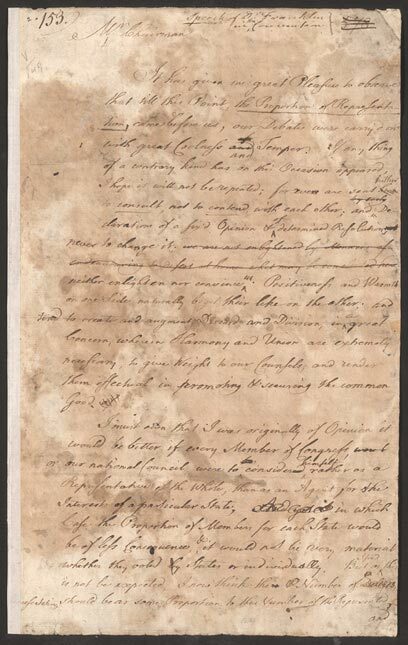 This version, not in Franklin’s hand, was among the papers owned by Franklin’s grandson, William Temple Franklin.